I really love anything chocolate, like anything, really. And I especially love a good, yummy, moist chocolate cake OMG. I just found a moist chocolate cake haven in Shah Alam. I found it by chance one fine day. It was after court and I was looking for a place to have lunch, a place that sells a nice nasi campur, a place that is not too crowded, a place with ample parking space. I went to Section 13 and made a few rounds. I then saw a Kedai Ayam Kampung Hassan (if I got the name correct) and I thought I should give it a try. Ayam kampung for lunch sounds good. I parked my car right in front of a shop called Anis Chocolate Moist Cake. 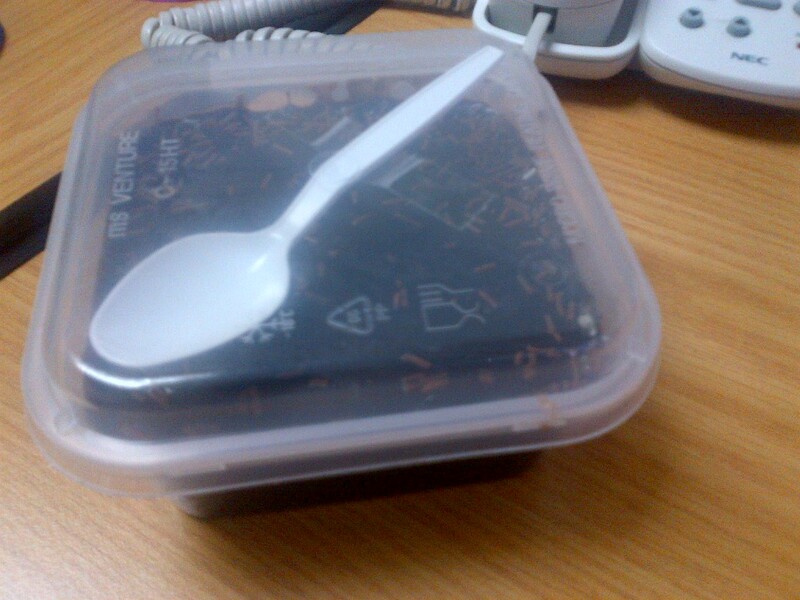 After I had lunch, I went in the shop and bought 1 box of chocolate cake for only RM4. I got to the office and tasted it and I fell in love instantly. OMG the moist chocolate cake is just soooooooo good!! 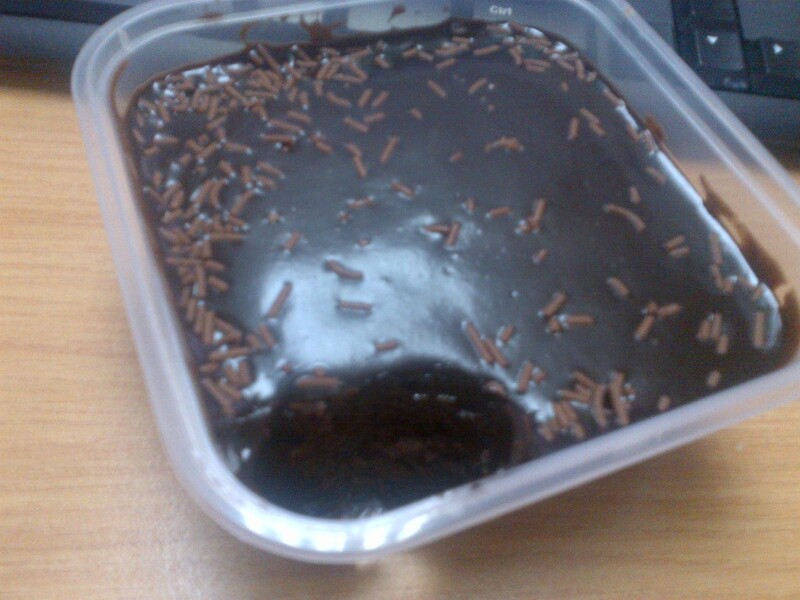 It's not too sweet and it is very moist and chocolatey and it doesn't make u feel muak after a while. In fact I couldn't stop eating it! The rest, they say, is history. I go to Shah Alam every other day or almost every day so you can guess how many times I've bought the cake already. They also sell red velvet cake, trifle pudding, tiramisu cake, rainbow cake, durian crepe, cookies, pineapple tarts etc. So far I have tried the chocolate cake (super duper delicious! ), red velvet cake (not so red-velvety-ish and the topping tasted more like butter than cream cheese) and tiramisu (nothing to shout about but you can definitely taste the coffee in it). I was in Shah Alam yesterday and I bought 2 small boxes of chocolate moist cake and 1 trifle pudding, which I have yet to try. I can finish it all by myself. They distribute the cakes to other places too. I'm thinking petrol station etc but I am not sure what the price is like outside. This small box is only RM4. Bigger ones are RM5 (in a small heart-shaped box) and RM8 for a rectangular box. If you happen to be in Shah Alam and you love good moist chocolate cake, go give it a try. I honestly don't mind promoting it simply because the chocolate cake is really good (in my opinion, that is). After all, I get to help their business to grow too, right? They deserve it. I am happy to know I can get my chocolate cake fix anytime and at a very cheap price too. Yeay!! How much are they selling at petronas? memang addictive gila!! imagine la kalau seminggu 3-4 kali i pergi shah alam. mana laa tak kembang!!! its RM 7 at petronas for the small size.